Opening hours: Office hours are 9:00-17:30 or 18:00, from Monday to Friday. 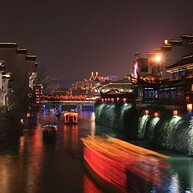 Nanjing has numerous scenic spots both in and around the city. 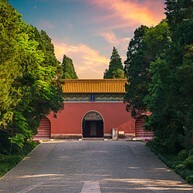 Internationally well known Ming Xiaoling Mausoleum or the Ming Tombs and its surrounding complex is an UNESCO cultural heritage and highly recommended. Dr. Sun Yat-sen’s Mausoleum and its surrounding forest area - nicknamed by locals as the green lung of Nanjing – offer a respite from the city, while the glamorous nights and the indigenous snacks of Fuzi Miao (Temple of Confucius) and Qinhuai River are also worth sampling. Dr. Sun Yat-sen was one of the pioneers at the forefront in the struggle to transform China from a dynastic feudal state to a republic for the people. He continues to be celebrated and the plan of his mausoleum is in a shape of an alarm bell, signifying the “perpetual ringing of the alarm bell to arouse people”. Dr. Sun Yat-sen’s Mausoleum is a classic building of the architectural style used during the early days of the Republic of China. The tomb of Zhu Yuanzhang, the first emperor of the Ming dynasty, is the first of the imperial tombs of the Ming and Qing dynasties. 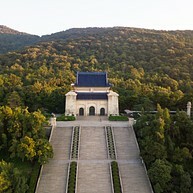 It took 38 years to complete the construction of the Ming Xiaoling Mausoleum which, through a history of over 600 years, was incorporated into the UNESCO World heritage list in 2003. 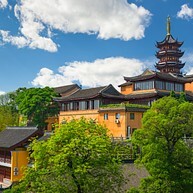 During the imperial times, Fuzi Miao was a place where scholars would come to take royal examinations, testing them on their knowledge of Confucius' teachings. Upon passing, the top students would go on to work in the royal courts and aides, and govern state affairs. This historical aspect is just one of the reasons why this newly reconstructed area is popular with visitors. 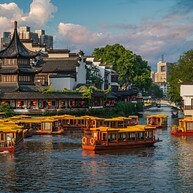 Other attractions along the Qinhuai River include the Bailu Zhou Gard, Zhanyuan Garden, Zhonghua Gate and a boat ride on the Qinhuai River in the evening. Qixia Mountain is located in northeastern Nanjing, 22 kilometres from downtown. A notable scenic spot, the Qixia temple has a carved Buddhist rock from the Southern Dynasty and dagoba (built in the manner of a solid hemispherical dome enshrining religious relics or the remains of kings) from the Sui Dynasty. The maple trees on the mountain are fiery red in the autumn, a fascinating treat for anyone daring the high climb to the mountain top. The sixth highest in China and the fourteenth in the world, Zifeng Tower has reshaped the city's skyline. The skyscraper has an observation platform, from where you can get a panoramic view of this historical city. Dusk would be the best time of day to visit the tower. However, the number of tourists allowed in is limited, so it would be better to make a reservation before the visit. 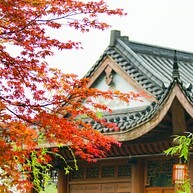 This 600-year-old palace was once the office of Mr.Sun Yat-sen, President of the Republic of China. While the architecture is deeply influenced by western style, the garden of the palace was constructed in a classic Chinese way. The fusion of these two styles makes it the best representation of the Republic period's culture. 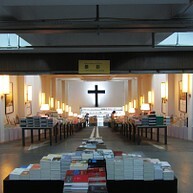 Today, it has been transformed into China Modern History Museum. More than 300,000 civilians were brutally killed during the second Sino-Japanese war. The Memorial Hall was built over the place where over 100,000 victims were hastily buried. The infamous events are preserved by photos, objects, and videos of survivors' testimony - a sombre reminder of the absolute importance of peace. 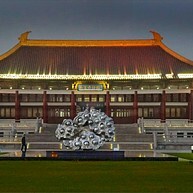 Nanjing Museum is the first national museum in China. The palatial architecture alone is breathtaking: the museum is composed of a historical area and art gallery with 12 exhibition halls in total. Some of the most precious ancient artefacts are exhibited here - you wouldn't want to miss them. 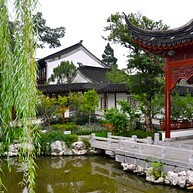 Zhan Yuan is a classic Chinese garden built under the Ming Dynasty. It includes halls and pavilions with ponds, flowers and rockeries. The space is internally separated by walls and trees, yet connected via windows and doors. Space utilisation is maximised, creating unique views from different points across the garden. 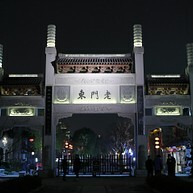 Lao Men Dong ( Literally means "Est of Old Door" ), was once the most lively commercial street in Nanjing. There have been several renovations yet all the classical wood structures are perfectly preserved. Lao Men Dong is a showcase of ancient southeast Chinese villages. When here, you will feel like you are taking a step back in time. This is also a commercial centre where you can find all sorts of specialities of Nanjing, such as stinky tofu, stick-pot, tiny steamed buns, as well as paper kites. In 1374, the first Emperor of the Ming Dynasty decided to build a tower by the Yangtze River and named it Yuejiang (literally meaning "overlooking the river"). He called for all the authors in the country to write articles in order to praise the magnificent tower, even though it was not yet built. One of the articles became a classic, but the construction of the tower was never started until 2000. The reputation of the tower preceded its actual existence by 650 years. Firstly constructed in the 14th century, Jiming Temple has gone through quite a few renovations over time (what we can see now was mostly reconstructed in the 1980s). It remains the most attended temple by worshippers in the region to-date. In spring, the blooming of sakura along the path dyes the temple into pink and attracts great numbers of visitors.